We keep hearing from readers who have dropped their expensive cable TV subscriptions. This is going to be an unstoppable trend. With plug-in adapters like Roku, Apple TV, or Google Chromecast, you get channels such as Netflix, Hulu, YouTube and Amazon Video. All of those except YouTube involve extra fees, like $7 a month price for Netflix. But that is very little compared to cable costs. 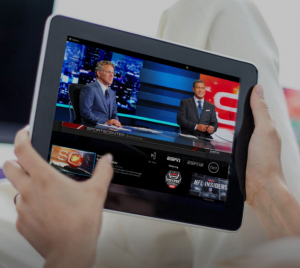 For live sports and other live TV shows, “Sling TV” is probably best at $20 a month. Sling TV is from the company that makes the $220 “Slingbox.” But Sling TV is a service rather than a piece of equipment. You use it with an app on your phone or a player such as Roku, Xbox, Google Nexus, Amazon Fire Stick or Amazon Fire TV. A new arrangement with RCA Antennas (RCAantennas.net) gives you a free 10-day trial of Sling TV. You remember RCA. They were the most famous name in TV manufacturing, except perhaps for Zenith, back in the day. They do a lot of industrial stuff now but claim to have the best-selling antenna for the last ten years because it can pick up signals in 360 degrees around your location. You can use an antenna to bring in several local channels without paying anything. We’ve tried it and it works, but you don’t get many choices. The $20 per month Sling “Live TV” gives you ESPN, AMC, TNT, HGTV and 16 others, and there are $5 add-ons. For $5 extra each month, you get Turner Movie Classics, and other movie channels. There’s also a sports add-on, a kids add-on, or Spanish TV. HBO is an extra $15 a month. The ten-day trial for RCA Antenna users includes the most popular channels as well as local TV from FOX, CBS, NBC and others.